Interested in making a difference in kids' lives? From college students looking to gain work experience to seasoned professionals wanting to share their gifts through special programs, we want to hear from you! The 2019 Counselor & CIT Application is now open. Please apply by April 15, 2019. Please review the available positions before applying. Do you see yourself as a positive example and a leader in your high school, college or professional community? Parish Summer employs young adults in high school and college as well as current professionals who have experience working with young people. Parish Summer Counselors are responsible for leading and implementing programs and experiences for campers in a small group setting. They will also be responsible for the general safety, development, growth and skill achievement of the participants in his/her group. Lead Counselors are young adults or adults who are in charge of a particular age group of students. Lead counselors typically have worked in our program for more than one year or he/she is an adult who has experience working with children as a teacher or coach in some capacity. A lead counselor is committed to working with children, has an engaging and fun-loving attitude and serve as role models for the campers. Junior Counselors are typically high school through college aged young adults who serve as support for the Lead Counselors. JCs are second in command. Much like the Lead Counselor, we expect our JCs to be committed to working with children, to have an engaging and fun-loving attitude, and serve as a role model for the campers. 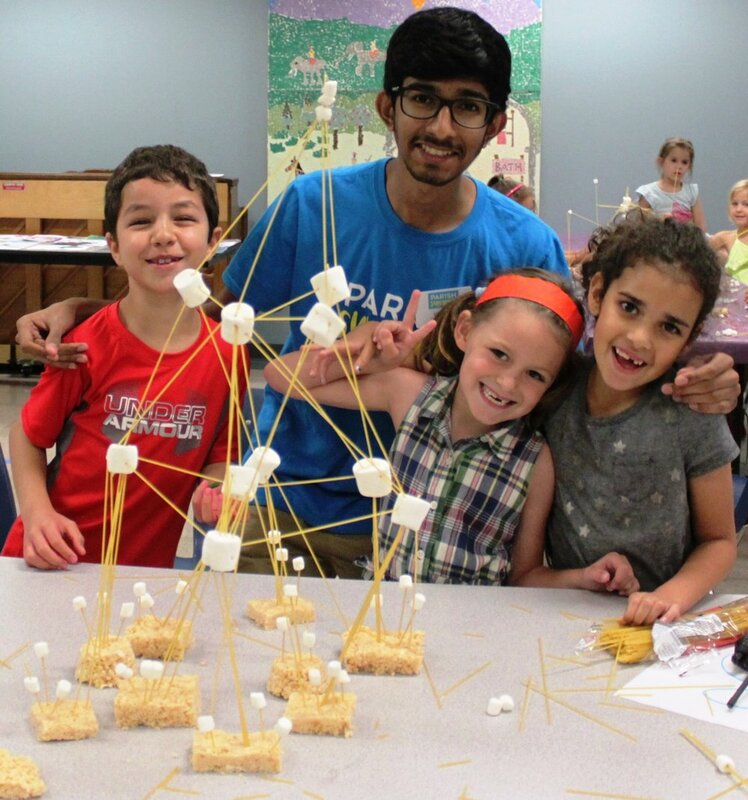 Parish Summer Day Camp seeks Specialists of all types. We are looking for people who have a special talent, hobby or interest that may include but is not limited to: academics, athletics, fine arts, world language, magic, cheerleading and so much more! The Specialist works with all age groups as campers cycle through a particular activity throughout the day. Individuals interested in this role must be committed to working with children, engaging, fun-loving with a passion for their talent. Questions about the hiring process should be directed to David Fisher, Director of Parish Summer. Each and every Parish staff member is selected after undergoing a thorough application and interview process. We receive many applicants for each opening and therefore are highly selective. Previous employment with Parish Summer does not guarantee future employment. Applicants must be at least 15 years old to apply. Training will be provided free of charge. Counselors who are unable to attend the free training must attend another training at their own expense and submit proof of completion. If you are an outside vendor with a camp of your own or you are an educator who wants work in the summer, we would love to hear from you. Please email David Fisher, Director of Parish Summer, to express your interest.